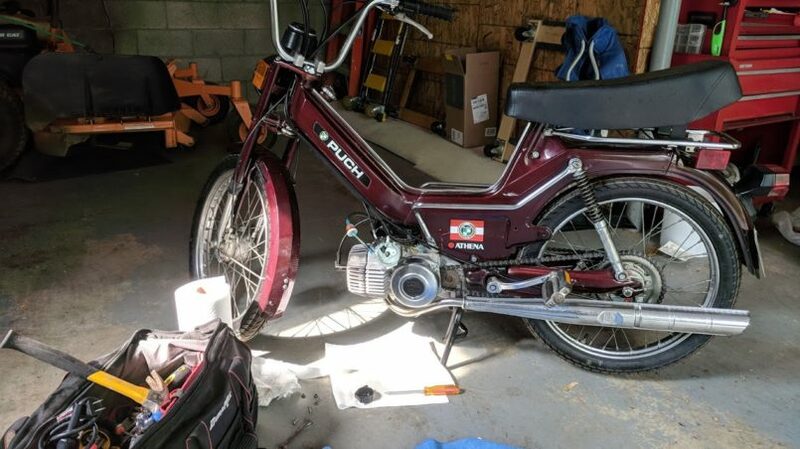 I am the proud owner of a 1978 Puch Moped from Austria. The primary purpose for me is to haul it out to Ocean City and cruise up and down the coastal highway. 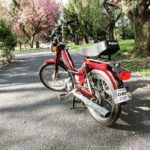 If you have never started a pedal style moped, you may find this video helpful. It usually takes a crank or two and in this video, I was holding my camera, so it didn’t start but this is the process.